This great unique game combines the best of pool and golf in one exciting game. 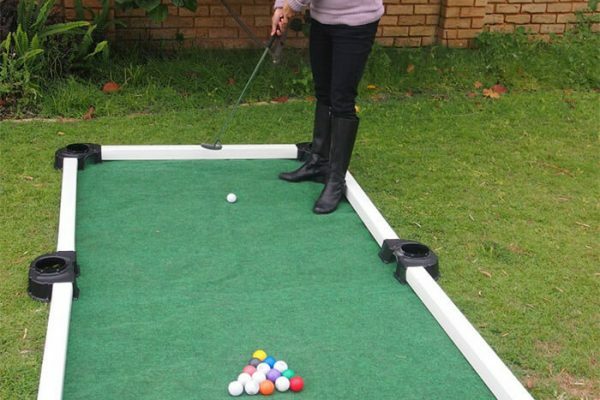 Play the game of pool with the coloured golf balls and using a putter instead of cue! Kids will develop eye/hand coordination as they have a ball putting to score!. 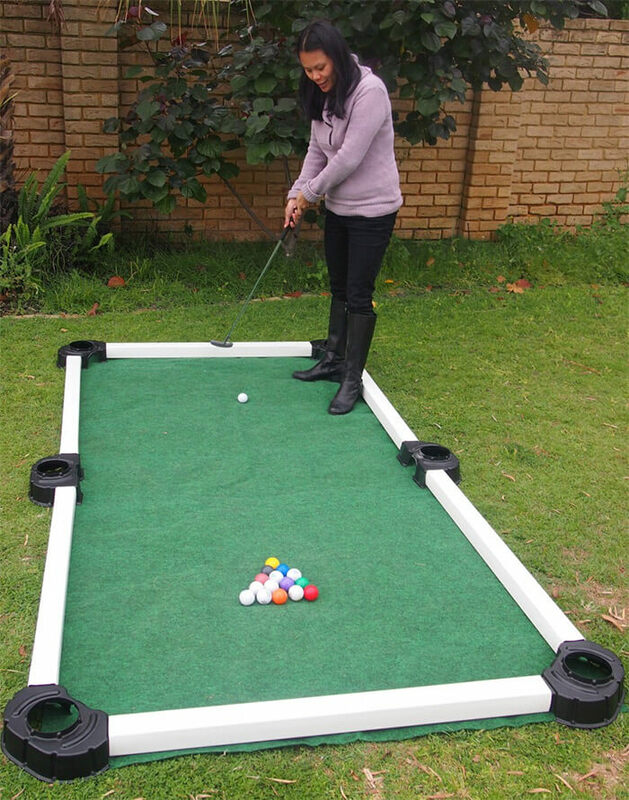 Portable, indoor/outdoor game comes with a weather-resistant putting surface, 16 golf balls with pool-style graphics, 2-way putter, 6 high-impact, easy-retrieve pockets and 6 side and end rails. Play area: 1.4m x 2.8m.